Asked by wesley to Avani, Jeff, Kenzi, Lindsay, Zoe on 16 May 2015. My favorite animal is the Orchid Mantis. 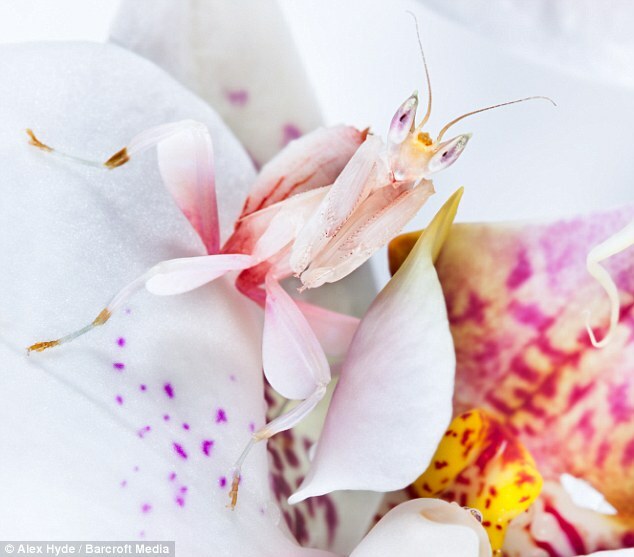 Its a preying mantis that looks just like a white and purple orchid flower. It sits on top of real flowers, and when a bee or butterfly comes by to pollinate, the orchid mantis grabs it and eats it. I love the combination of beauty and death. My favorite group of animals in general are cnidarians, which are jellyfish, corals, anemones, and their generally weird relatives. I think my favorite animal is probably the dog, because they share a long and intense evolutionary history with humans, and are the most attuned to us. I think that a very good argument can that we are who we are today BECAUSE of dogs—that having an external “other,” helped us to define who we are as humans, when we were just another animal.